Fire Chief: George Nors, Sr. The West Volunteer Fire Department was established in 1894 as the West Hose Company #1. The first equipment for West Hose Co. #1 was a Hose Reel drawn by a rope tied to a volunteer’s saddle horn. In the late 1890s the equipment was upgraded to a fire wagon drawn by a black stallion. By the turn of the century a two horse “Modern Seagraves” Fire Carriage was purchased. In 1915 the first motorized apparatus was purchased – a Cadillac Hose Truck with a 40 gallon chemical tank. The first “pumper” for the Fire Dept was a 1925 Reo with a 500 gpm (gallons per minute) pump. In 1929 a Ford Model A was added to the Fire Dept. fleet. The fire department was originally stationed in the historic city hall, then the city garages, and finally was moved to its current location in 2003. The current firehouse was paid for by the work of the all volunteer fire department through fundraisers such as the Annual West Fire Dept. BBQ Cook-off held in March. 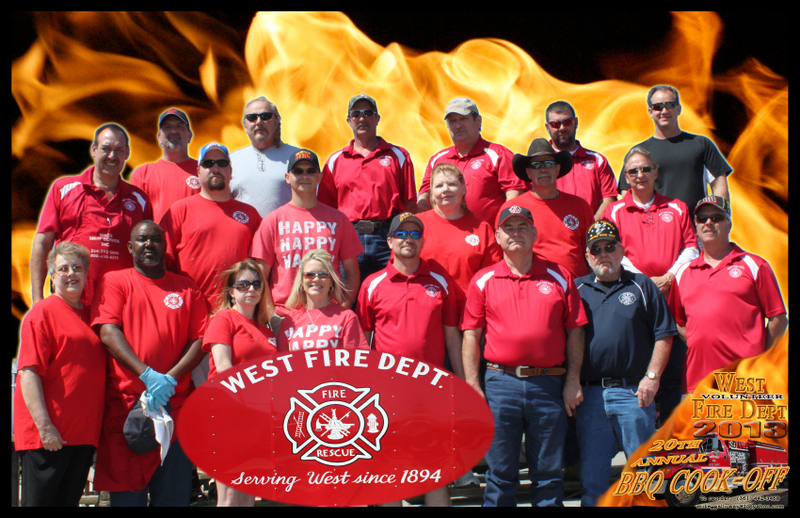 The volunteers raised half of the funds to build the fire house and the other half was paid for by the City of West. The fire department currently relies on pagers for its 33 firemen, but also still depends on the loud sirens throughout the City. City of West is rated at a Class 5 through ISO.